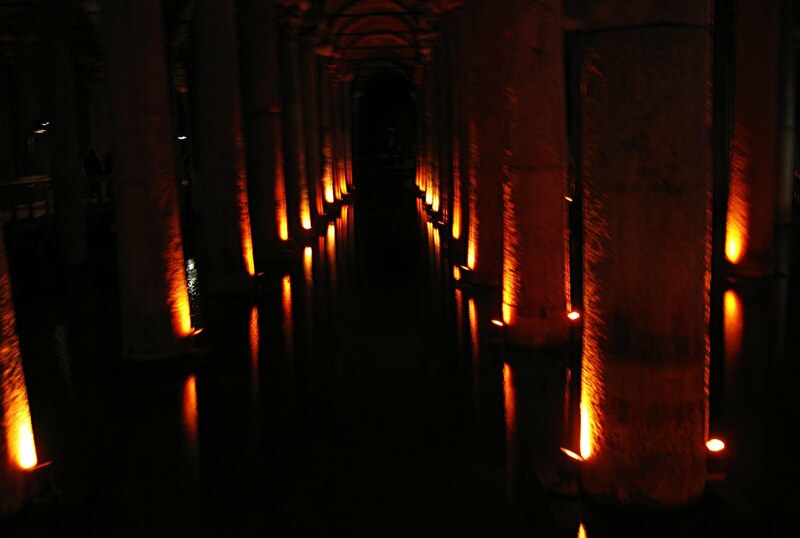 The Basilica Cistern is an ancient water storage plant which lies underground in the city of Istanbul, in Turkey (formerly Constantinople). 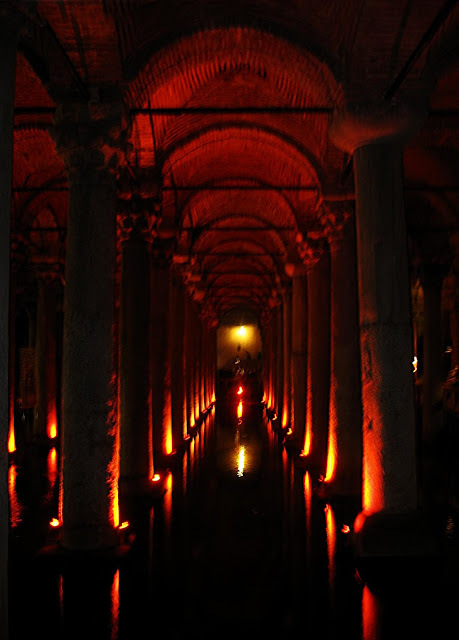 The cistern was built in the 6th century during the reign of Byzantine Emperor Justinian I and it provided a water filtration system for the royals of Constantinople and other buildings. It is now a tourist attraction. It is a fascinating place! Tourists can walk all around it and inbetween, on platforms built at the cistern. The area is about 9,800 square metres (105,000 sq ft) and this storage space can hold 80,000 cubic metres (2,800,000 cu ft) of water.